Are you looking for the best way to entertainment your guests at your wedding or special occasion? It can be difficult to choose entertainment that is unique and special for your big day, as well as something that everyone will enjoy. But, don’t worry; we have the perfect solution and it is definitely going to be memorable. At Taxi Snaps we have the amazing Magic Mirror! This is a special magic selfie mirror that not only lets your guests takes photos at the event, but it also speaks and interacts with you! This makes taking photos so much fun as you can enjoy getting a compliment while you pose or you even crack the mirror! Family and friends will find this hilarious and will also love to take home their photos at the end of the night. It is suitable for all ages and everyone won’t be able to resist taking a selfie! We all love taking photos, which means you know your wedding or event will be a time when everyone has their phones out. But with the Magic Mirror, your family, friends or colleagues can simply step in front of it and see what it has to say about their outfit! With lots of funny responses, you never know what the Magic Mirror might say next. So, crack a smile and see what happens! Plus, there are a bunch of props we will bring with us that will let you jazz up your outfit for a hilarious photo such as colourful hats and glasses. Of course, your guests will have lots of fun on the day, but they will also be able to take home photo prints at the end of the night. Our Magic Mirror has a high-tech printer that means your photos are instantly printed so that everyone can take home a keepsake from the big day. You can take as many as you want with unlimited prints, which means that your guests can take a photo with everyone from the special occasion. Doesn’t that sound great? It’s easy to get started with our Magic Mirror! We always make sure our Magic Mirror packages are great for our customers. 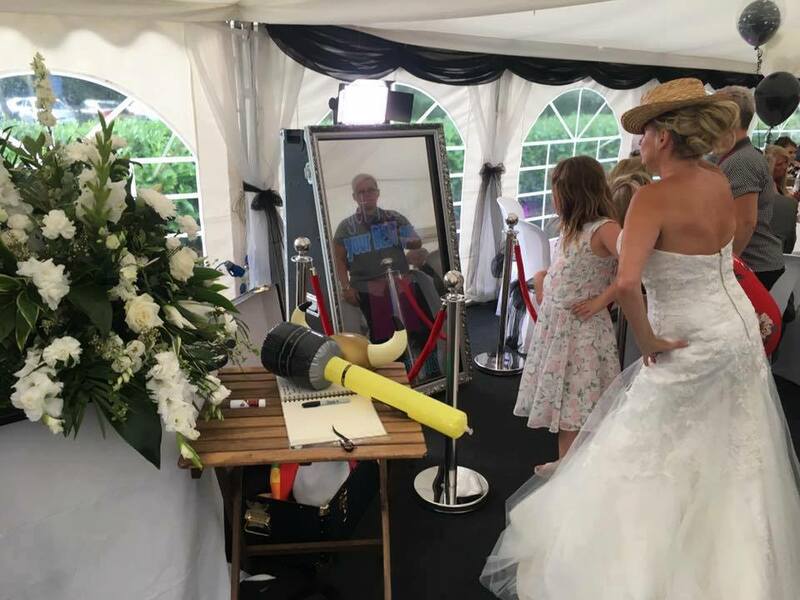 We offer this hilarious and interactive Magic Selfie Mirror for all kinds of events, whether it is your wedding and birthday party or corporate events and fundraisers; this Magic Mirror will be a hit with your guests! When you hire the Magic Mirror, your family, friends and colleagues can enjoy unlimited instant prints throughout the night. This means that there is a photo to take home for everyone that they can keep forever. We also give you the ability to create personalised messages across your images for the event, which can be great for special occasions and add a nice touch to your guests’ photos. We told you our Magic Mirror would be memorable! In addition to your Magic Mirror, you will receive a complimentary photo guest book that will allow your family and friends to leave you photos and messages for you to view later on. This is a great keepsake that you can treasure and look back on in years to come! Plus, we will provide you with a USB full of all your images at the end of the night so you can see all of the hilarious photos from the event. So, if you are looking for some fun entertainment and something that will be memorable, check out the Magic Mirror for your next big event! At Taxi Snaps, we know how busy and demanding the day of your event or wedding can be. You have so many things to sort out before it all begins! That is why we make sure that setup is simple and easy for you when you choose the Magic Mirror; just leave it all to us. We make sure it is available at an affordable price for any venue and brings the entertainment you are looking for. We will take care of all the delivery aspects and make sure it arrives at your venue in the Midlands. In addition, our team will also make sure everything is setup properly before we leave. This means that the Magic Mirror will be ready to go for the start of your drinks reception or event. Just step in front of the Magic Mirror and see what it has to say! 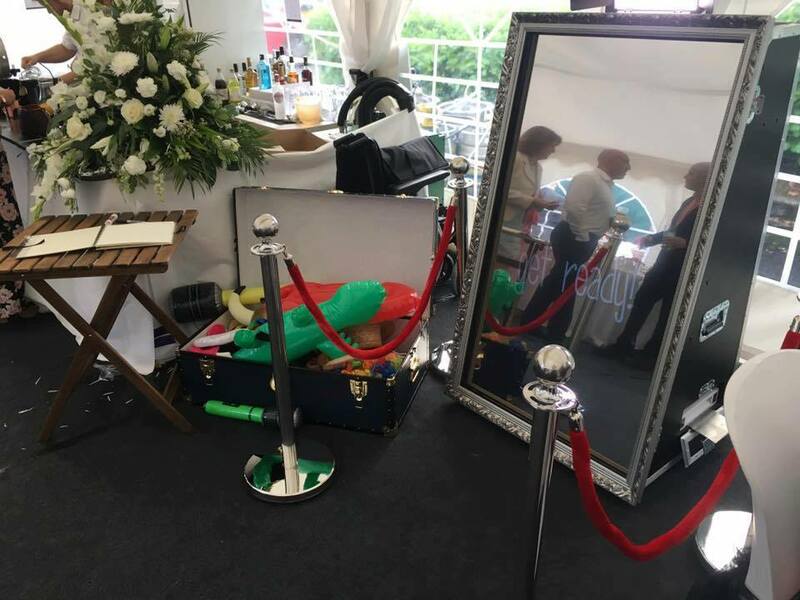 The great thing about the Magic Mirror is not only the fun it brings to your event, but also that it is a great compact size. You will be able to fit it in anywhere in your venue since it does not take up much room. Plus, it won’t clash with your décor, but will still provide an entertaining area for your family, friends or colleagues.